Paint-N-Party currently seeks a Seasonal/Part-Time Associate. Ideal candidate must be available to work weekends. For details, call 847-699-0011 and ask for Joanna or Terry. Auntie Anne's is looking for rock stars who would love to get their career rolling with us. We are looking for Crew Members, Shift Supervisors, and Assistant Mangers, and a Store Manager(s). We have great starting pay, great benefits for those who are full time, with bonus, and a 401K company match. Do you like to keep busy? Do you like to bake? We INVEST in YOU with extensive training when you start your employment with us as to ensure you really get your career rolling with us! 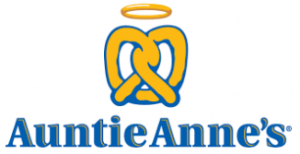 You will be responsible for the preparation and presentation of Auntie Anne's and/or Cinnabon products. You will learn how to prepare the actual prezel or cinnabon roll, bake them, and provide excellent customer service by satisfying each customer needs and exceeding their expectations. We are committed to your growth and development as well as committed to treating our customers with top service. •	Prepare dough’s and others products. •	Prepare drinks and bag orders using appropriate health and safety measures. •	Exhibit a friendly, courteous attitude toward customers, and co-workers. •	Host, greet and service customers with a smile, take and call out orders. •	Assertively and professionally “Suggestive sell”, increasing our profitability and average check. •	Operate the point of sale system efficiently with minimum void and make change in an accurate manner. •	Serve and provide samples to potential customers. •	Set-up equipment, utensils, and supplies for opening. •	Break down, clean, and put away equipment, utensils, and supplies at closing. •	Perform cleaning and maintenance procedure as directly by person in charge of shift. •	Comply at all times with company dress code and company hygiene/appearance standards. •	Maintains regular and consistence attendance and punctuality. Required Qualifications/job requirements: •	0-2 years’ experience in retail management, food service industry or equivalent experience. •	Basic math and basic reading skills. •	Ability to understand and carry out oral and/or written instructions and request clarification when needed. •	Stronger customer focus with excellent people skills; including positive can-do attitude, ability to learn quickly/teachable spirit. •	Flexible work schedule, including nights, weekends, and holidays. •	Complies with all health and sanitation laws and regulations. •	The potential for prolonged standing, walking, squatting and/or bending. •	The ability to lift up to 50+ pounds. •	Ability to test products by taste, color and smell. Customer Service, Effective Communication, Team player, collaboration, dependability, reliability, quality and safety focus, integrity. ULTA Beauty currently seeks qualified candidates in anticipation of its new store opening later this year. 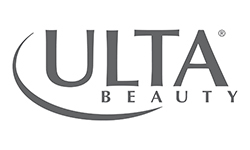 As a high-growth, fast-paced retailer led by Fortune’s #3 Businessperson of the Year with more than 34,000 associates in 48 states, Ulta Beauty offers rewarding career opportunities at our 990+ retail stores and salons, five distribution centers and corporate office. We are driving industry leading results, leading through a shared set of values, and together becoming the most loved and admired beauty destination. Claire's is currently hiring a Full-Time Store Manager and Part-Time Key Holders. Please fill out an application in-store. For details, call 847-297-3449 or email maryann.schuler@claires.com. 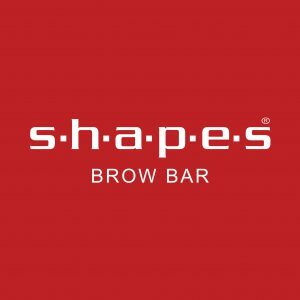 Shapes Brow Bar is now hiring Eyebrow Threaders. We looking for talented, confident and experienced Eyebrow Threading Technicians. Must know the art of Threading and enjoy meeting and interacting with customers. Full-time and Part-time shifts available. Now hiring both full and part-time retail sales and store management positions. Competitive pay and commissions, aggressive employee discounts, unique education discounts, and career advancement opportunities. 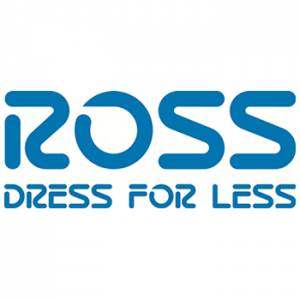 Ross Dress For Less is looking for hard-working and energetic candidates to join the Ross Team! WORK WHERE YOU LOVE TO SHOP! We have opportunities for Retail Associates, Store Protection Specialists (Loss Prevention), and many other positions! JC Penny Optical is looking for a part-time Optician to join their team. Previous work experience is preferred. For this position you will help patients select eyeglass frames, adjust and file frames, order and dispense contact lenses, and schedule appointments. Competitive pay and commissions, employee discounts, Medical Insurance, & 401K available. For more information please visit the JC Penny Optical department on the second floor of JC Penny inside Golf Mill Shopping Center. The Dakota Watch Company is looking for a part-time retail sales associate to join their team. Dakota Watch Company is an equal opportunity employer, and does not discriminate in hiring or terms and conditions of employment because of an individual's race, color, religion, gender, national origin,citizenship, age, disability, sexual orientation or marital status. Retail experience is a plus, but not required. For more information please visit the Dakota Watch Company kiosk inside Golf Mill Shopping Center. Value City Furniture is currently seeking sales associates, office associates, warehouse for our Niles location. These positions are not seasonal. If you are looking for an opportunity to make a difference, we are looking for you! American Signature, Inc is the parent company to Value City Furniture and American Signature Furniture, two of the country’s premier furniture retailers. Together we operate more than 115 stores plus multiple distribution centers and manufacturing facilities nationwide.